Albert "Sunnyland Slim" Luandrew was an American blues pianist, who was born in the Mississippi Delta, and later moved to Chicago, Illinois, to contribute to that city's post-war scene as a center for blues music. Chicago's broadcaster and writer, Studs Terkel, said Sunnyland Slim was "a living piece of our folk history, gallantly and eloquently carrying on in the old tradition." Sunnyland Slim made music over the course of eight decades, from the hard-luck Deep South of the 1920s to the enduring grit of Chicago's South Side in the 1990s. 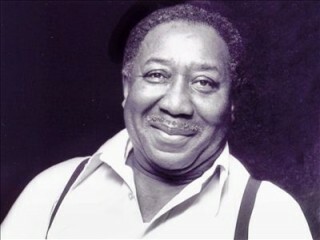 One of the great singer-piano players of the century, Slim worked with blues greats like Ma Rainey and Little Brother Montgomery and fostered the careers of many others, most notably Muddy Waters. View the full website biography of Sunnyland Slim.